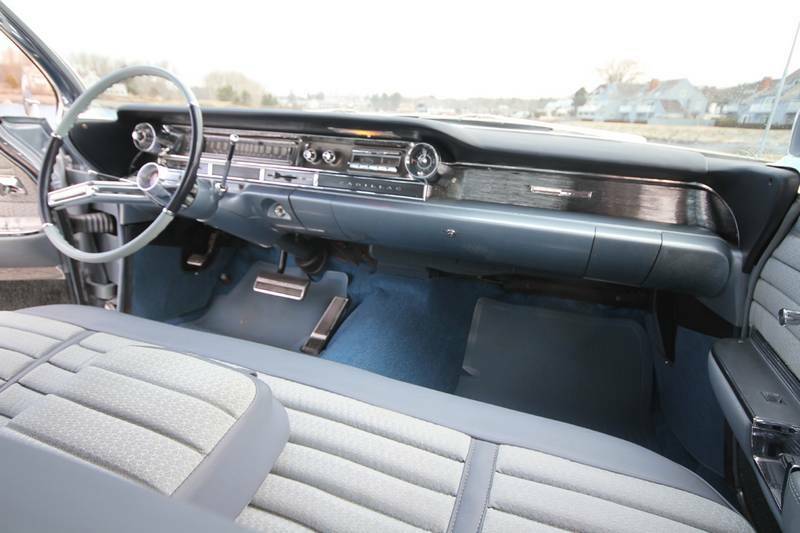 Finished in Bristol blue with a complimentary blue interior, this Series 63 sedan has had several professionally done improvements recently. 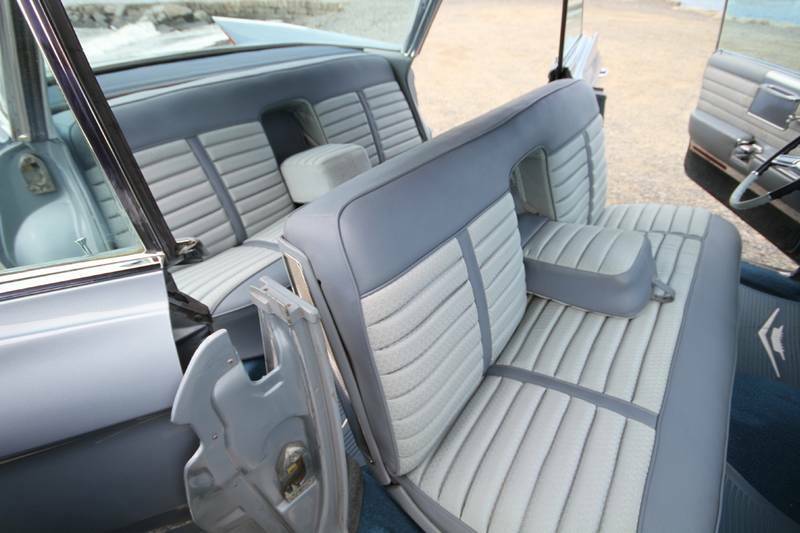 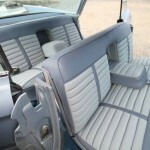 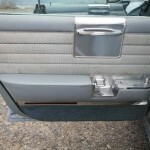 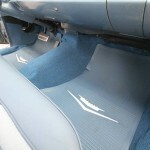 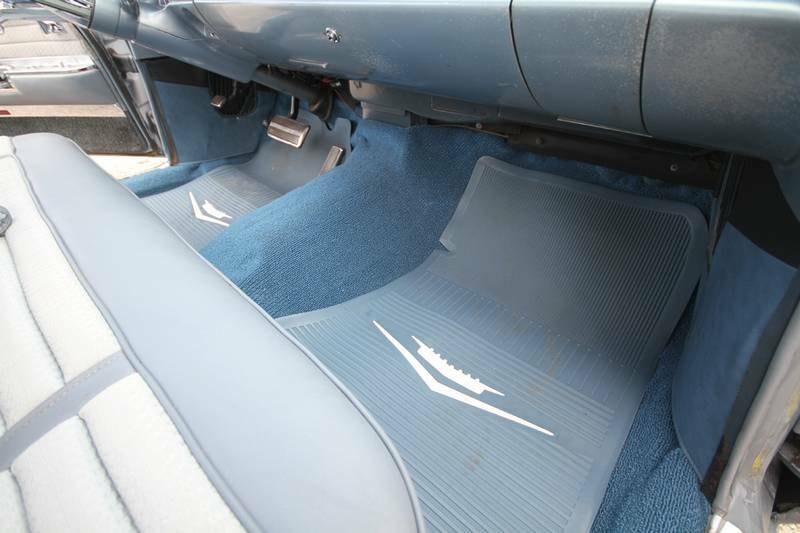 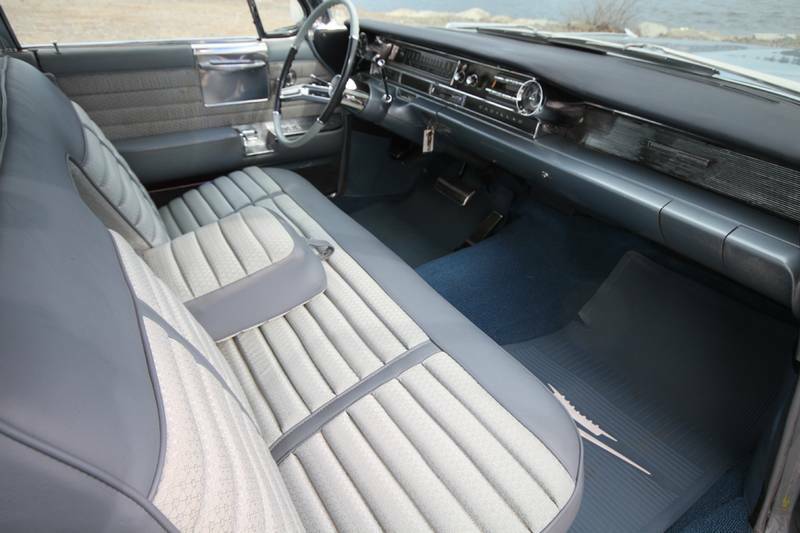 New interior, with new upholstery, carpet, headliner and kickpanels. 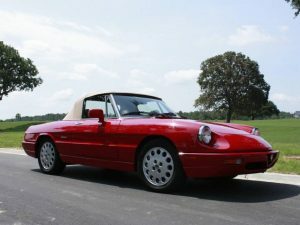 Recently resprayed in the original factory color and new tires. 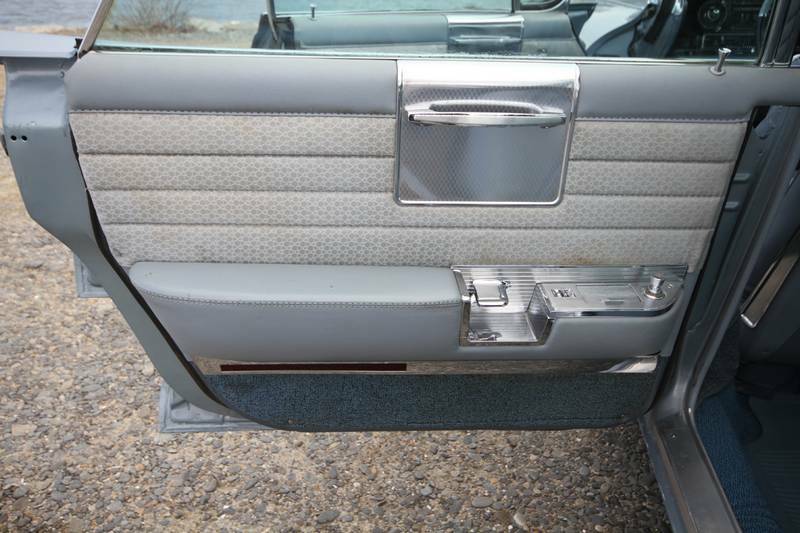 Features huge wraparound glass front and back for an exceptionally pleasing driving experience. 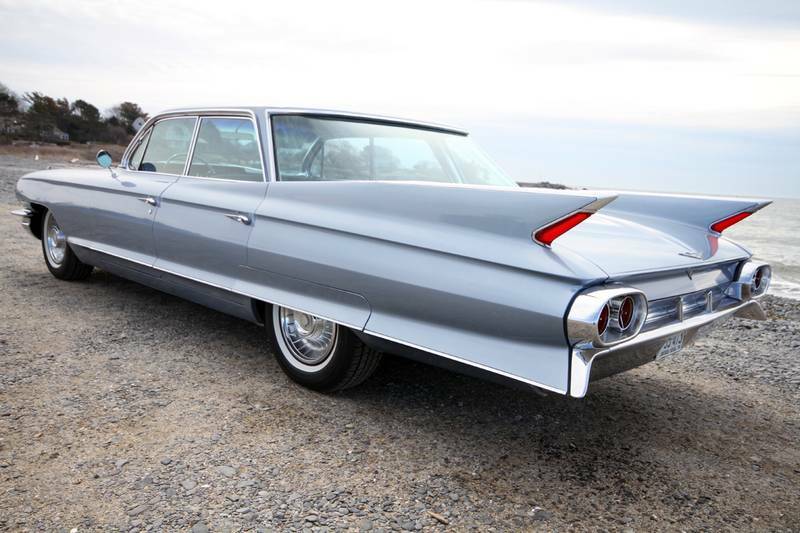 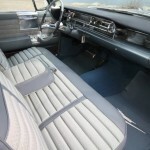 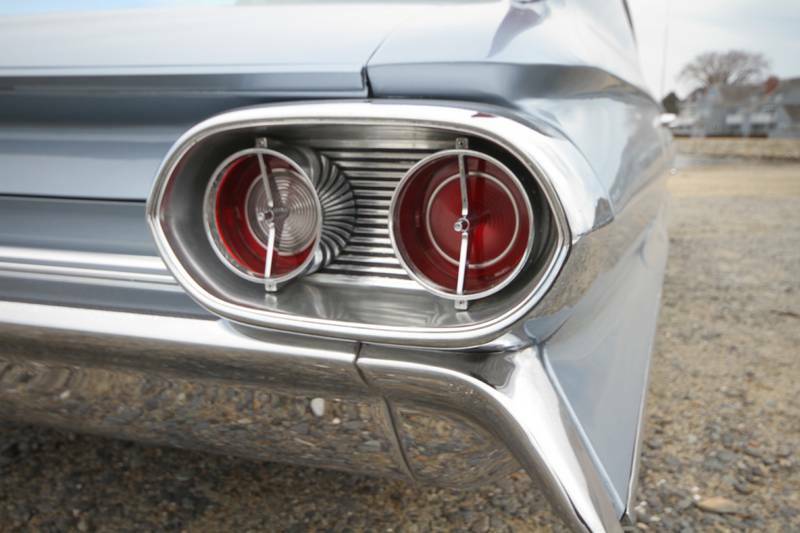 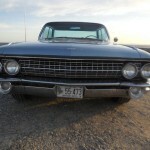 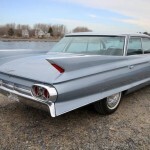 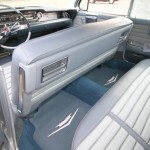 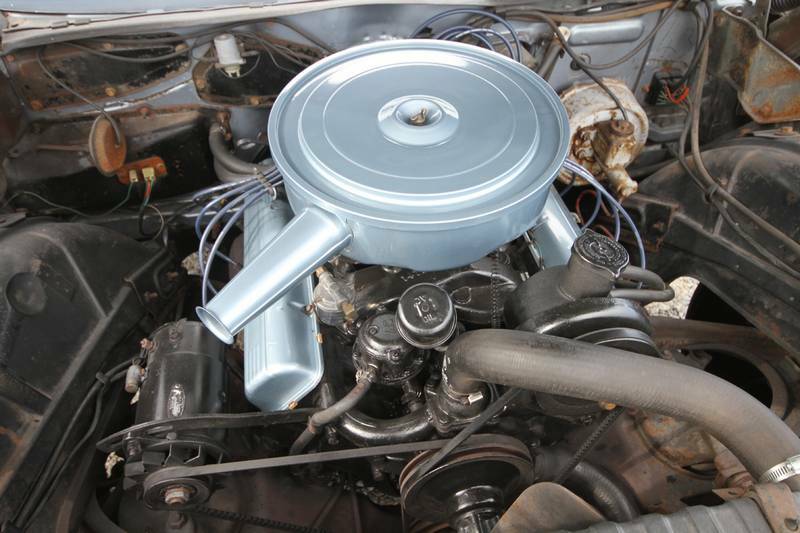 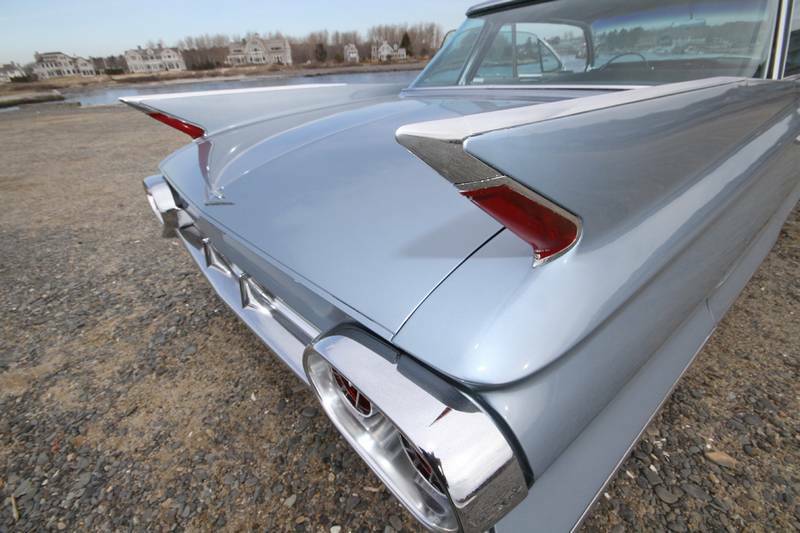 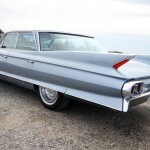 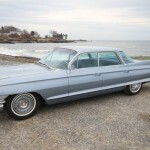 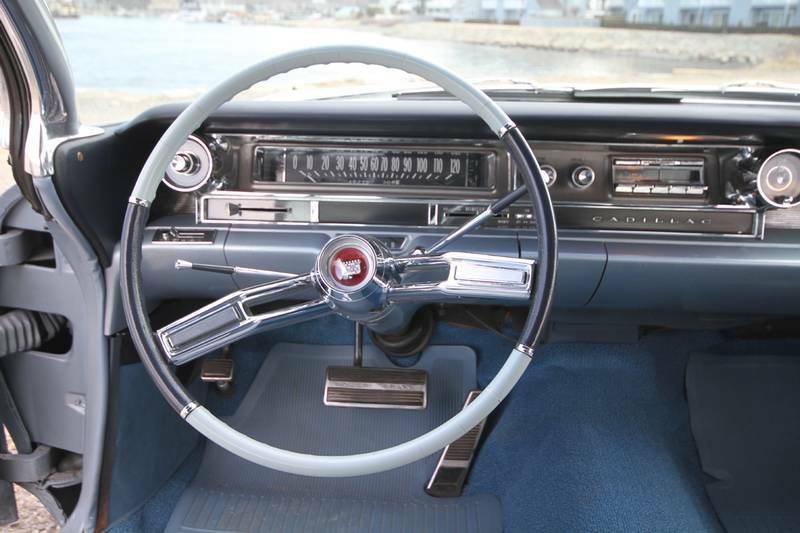 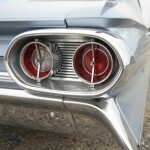 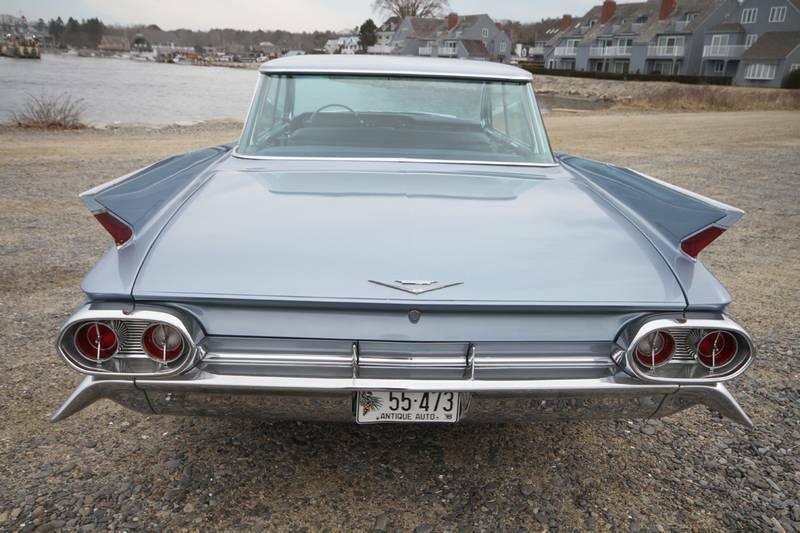 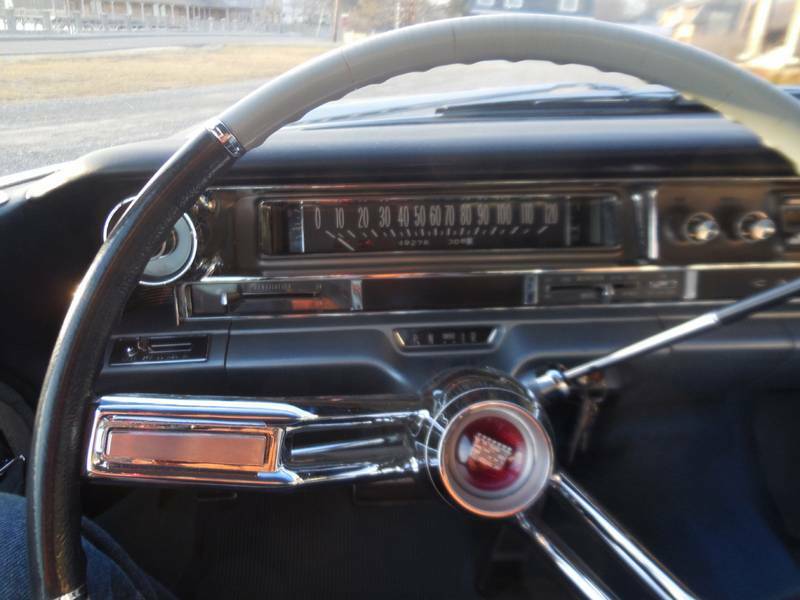 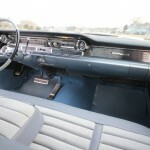 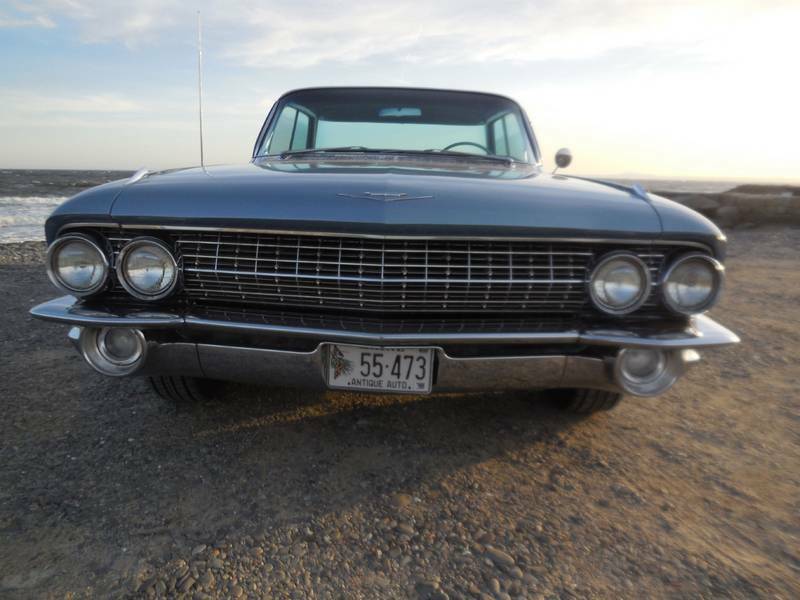 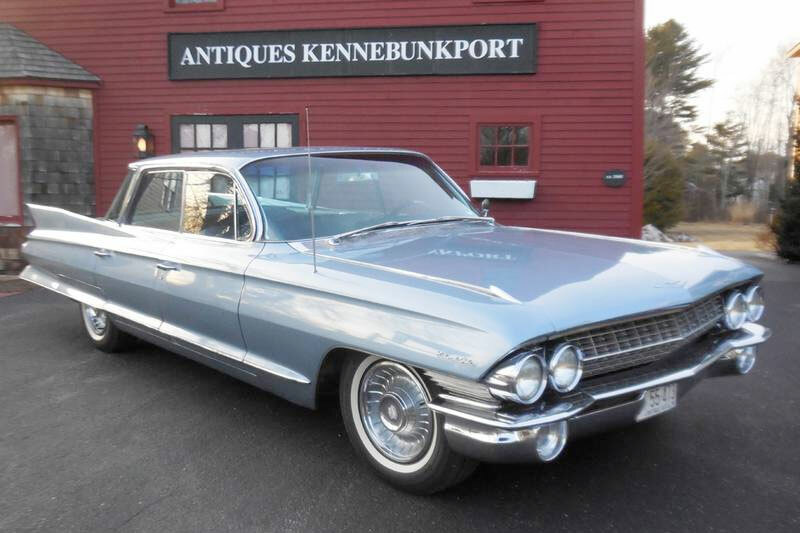 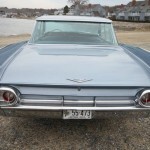 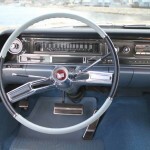 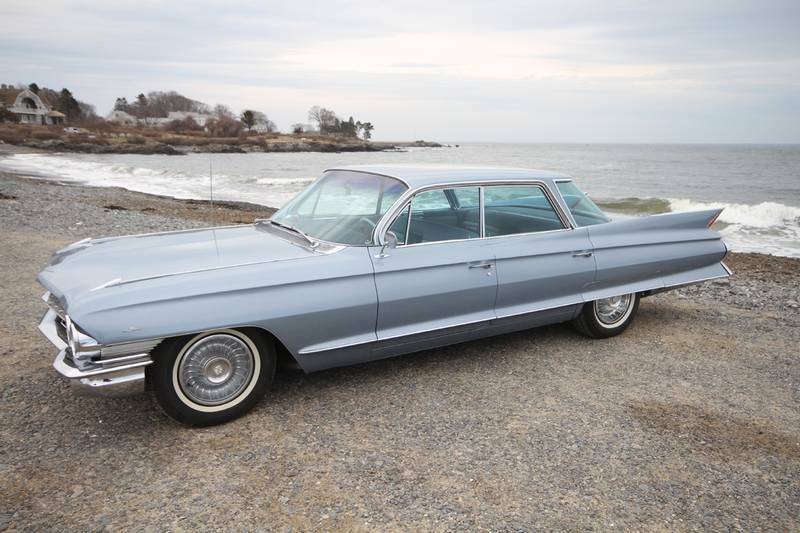 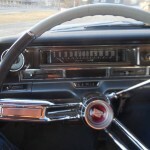 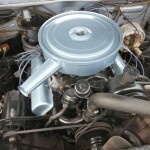 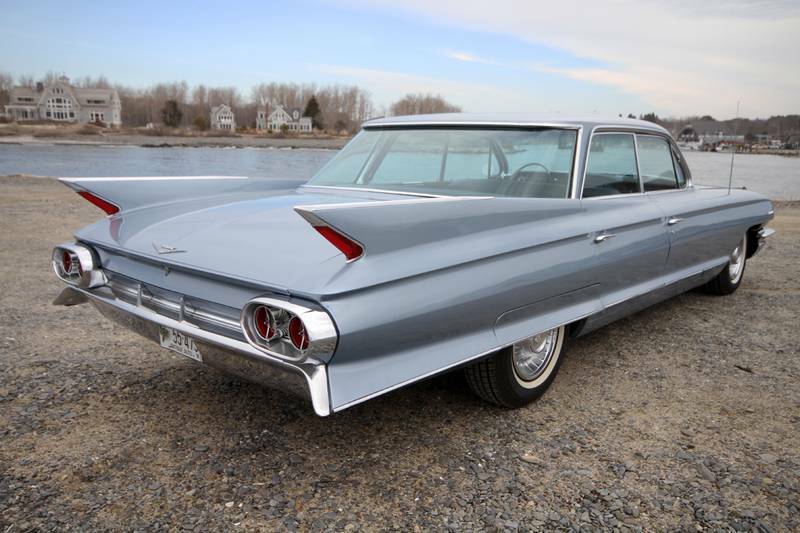 Cadillac was restyled and re-engineered for 1961. 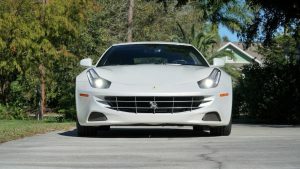 The new grille slanted back towards both the bumper and the hood lip, along the horizontal plane, and sat between dual headlamps. 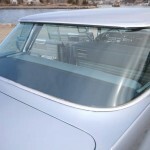 New forward slanting front pillars with non-wraparound windshield glass were seen. 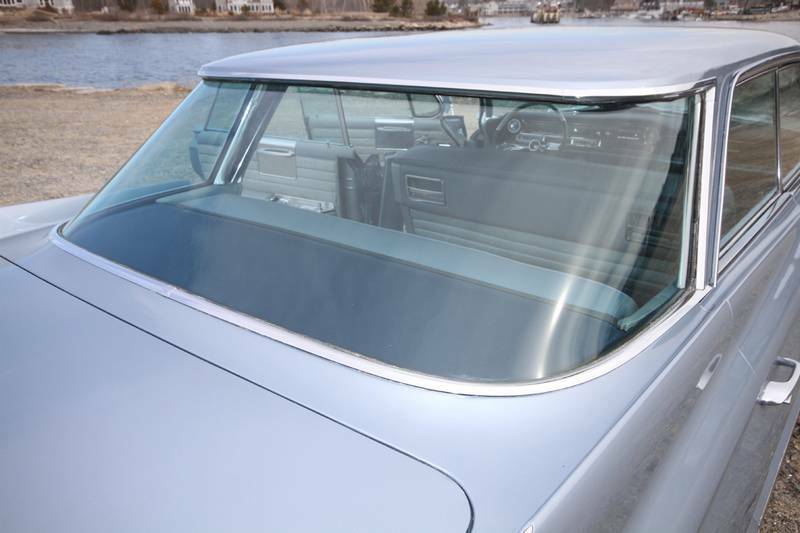 The revised backlight treatment had crisp angular lines with thin pillars on some models and heavier semi-blind quarter roof posts on others. 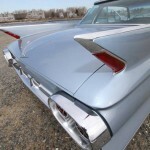 De Ville models featured front series designation scripts and a lower body "skeg" trimmed with a thin, three-quarter-length spear molding running from behind the front wheel opening to the rear of the car. 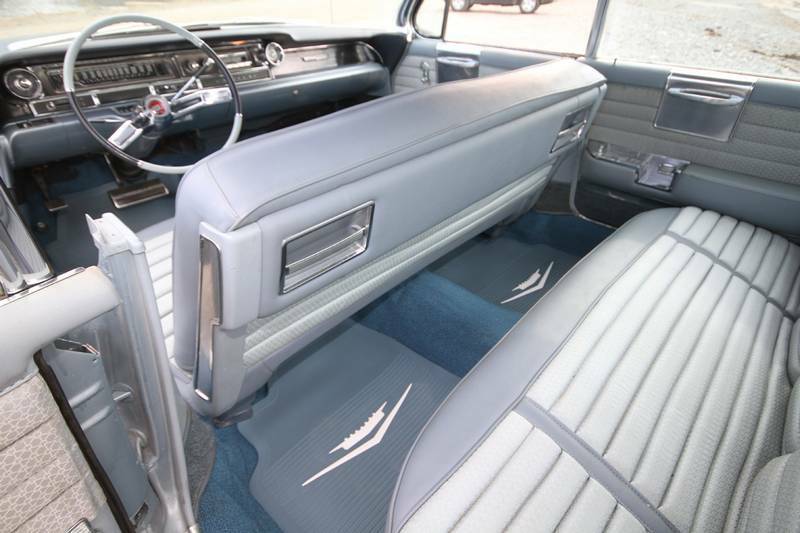 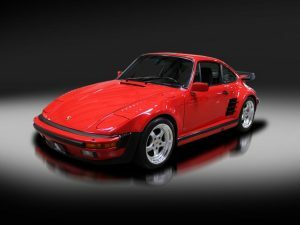 Standard equipment included power brakes, power steering, automatic transmission, dual backup lights, windshield washer, dual speed wipers, wheel discs, plain fender skirts, outside rearview mirror, vanity mirror, oil filter, power windows and 2-way power seats.